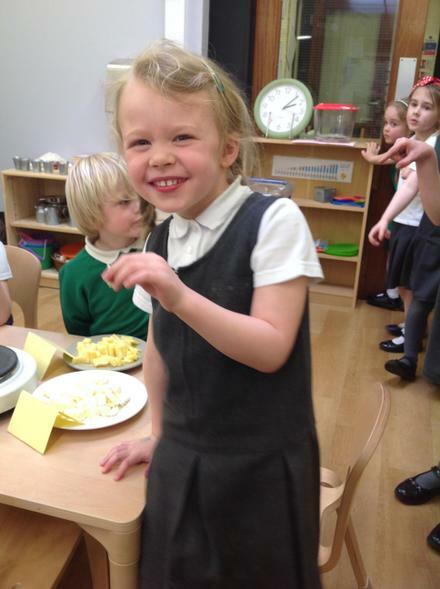 We have been talking about healthy foods and good fats in Reception this week. 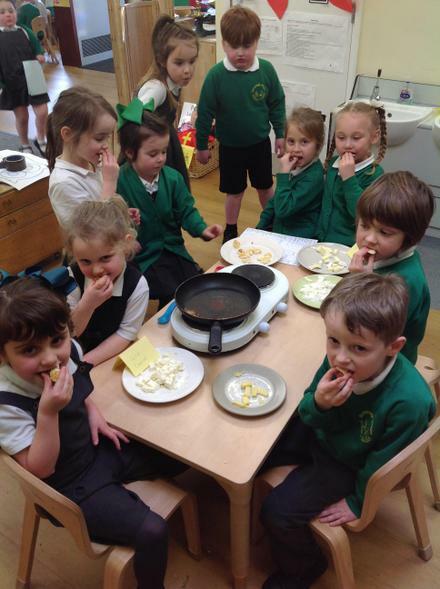 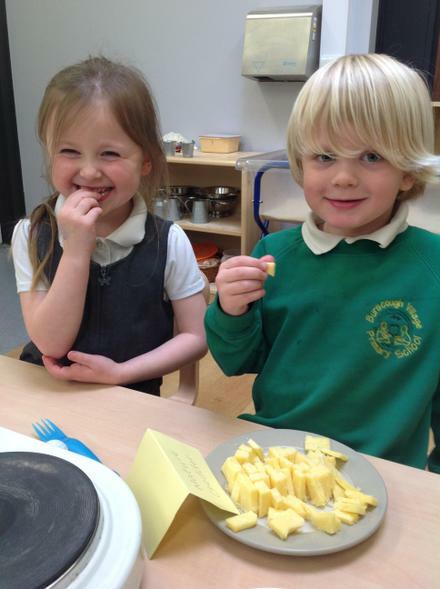 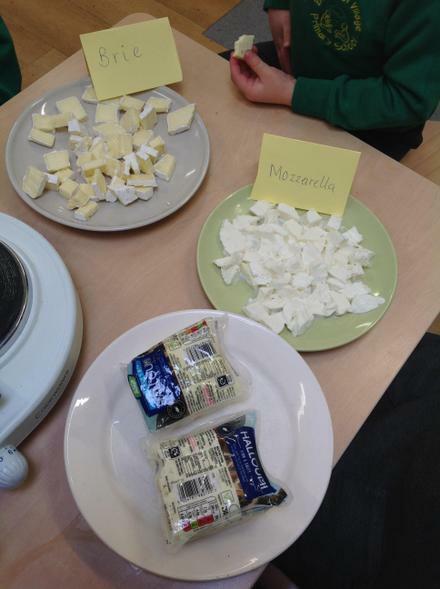 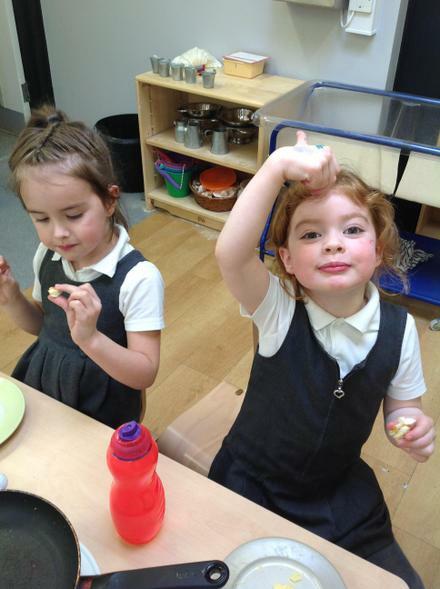 The children had fun tasting some cheeses that they hadn't tried before such as mozzarella, halloumi and feta. 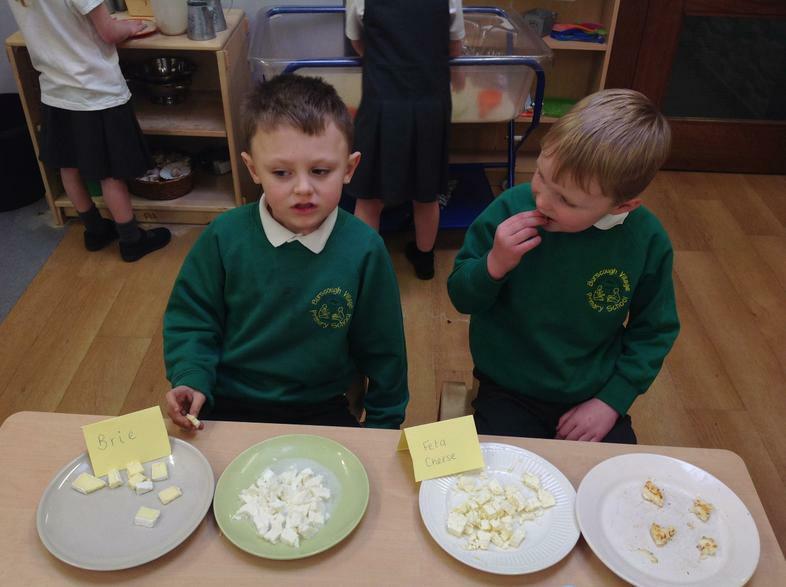 Brie - Jessica "It tastes creamy"
Halloumi - Jacob "It's like squeaky cheese". 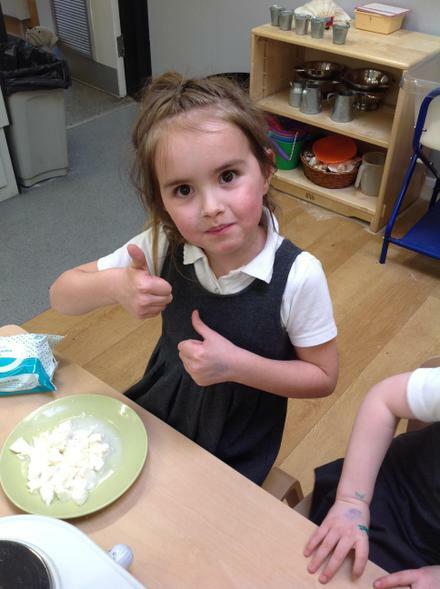 Poppy "It's making a bubbling noise". 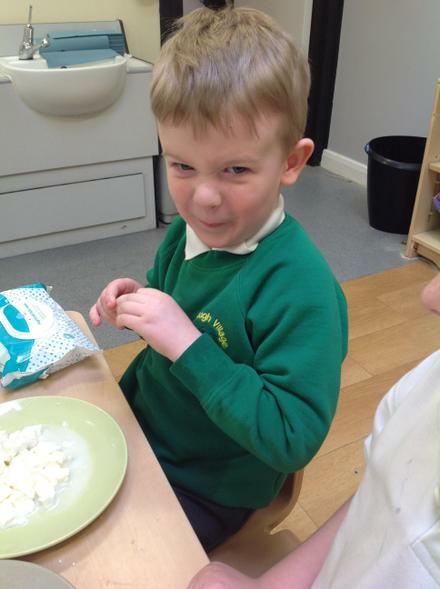 Emily "It tastes salty, but really yummy"
Feta - Oliver "It tastes very tangy - yuk!"